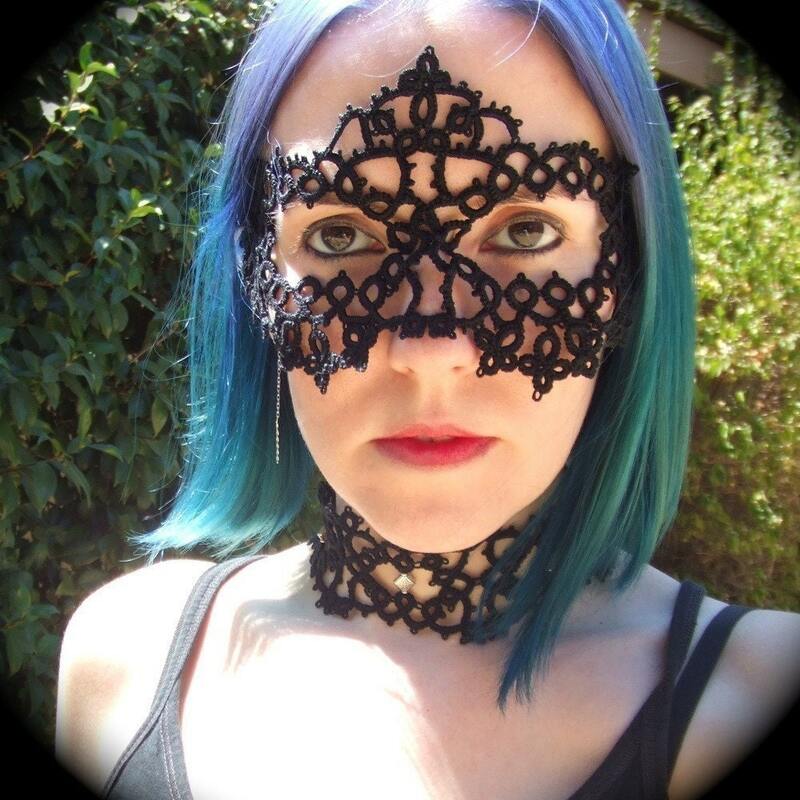 TotusMel Tats offers original and unique needle tatted jewelry and accessories, including some really gorgeous masks created by artist Pamela Quevedo. I was bored or perhaps burnt out from knitting and crochet and thought I needed something truly different to try out. I discovered tatting and while I couldn't quite grasp working with a shuttle, I was at one with the needle. After a bookmark I was making was mistaken for a bracelet, I began creating jewelry on purpose. I love to have my hands busy, so tatting is what I am always doing, but I am happiest spending time with my family. The biggest challenge for me now is finding balance between working on new pieces, remaking sold ones and spending time with my young kids. As I've been lucky enough to have a fairly steady stream of sales, the tightrope walk is getting more difficult. There are just not enough hours in the day. What's funny is I rarely if ever wear my own work. My life is just too mundane right now. So as a gift I would like to receive one of my masks and a damn good reason to wear it. Well first I was going to be a Prima Ballerina, then a singer, then an actor, but as it turns out living in California's central valley is not conducive to a successful career in the arts. In the absence of a reliable crystal ball, I'd have to say I have no idea. I hope to still be tatting and it's one of my dreams to one day see someone on the street or t.v. or elsewhere wearing one of my creations.